So as warned, this week’s comic isn’t part of the actual story. The last Tuesday of every month is going to be something different; doodles, half finished illustrations, or in this case, half assed test comics where I throw the characters in a room together to see how they react to each other. 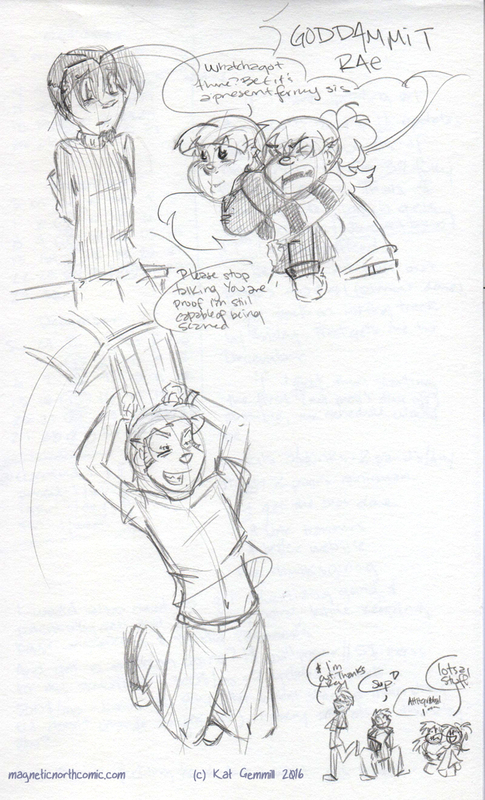 This one was based entirely around wanting to draw Roy jumping. Next Tuesday we’re back on track with the storyline as usual.